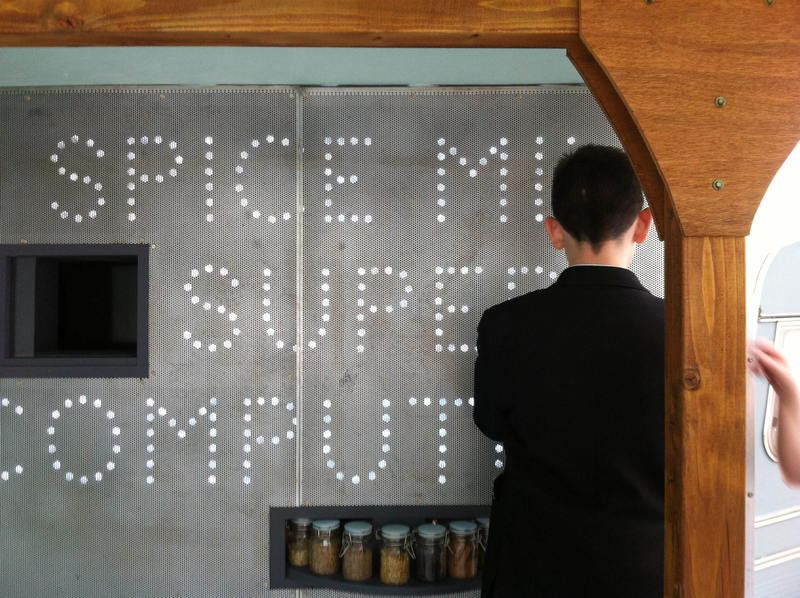 More than a year after its construction, The Spice Mix Super-Computer is still on the road! Its latest journey was to Derry, Northern Ireland for CultureTECH 2013, a festival of digital technology, media, music and art. 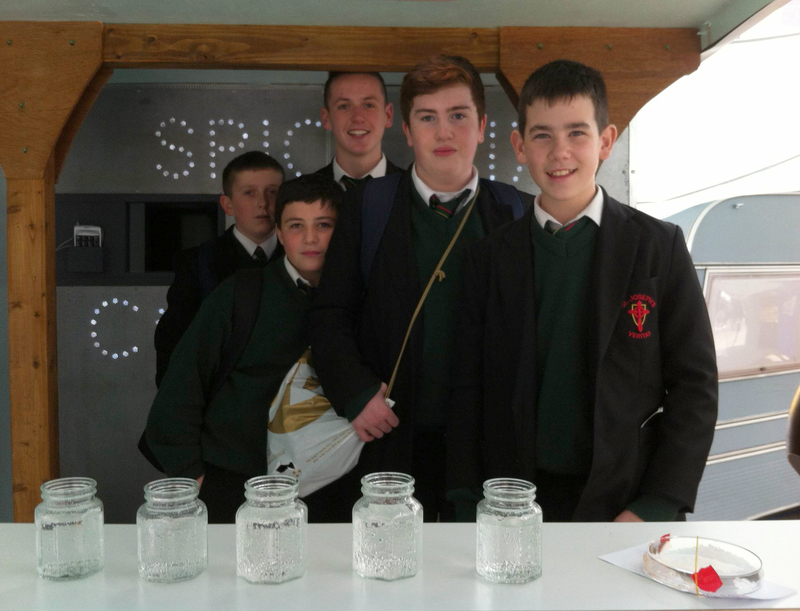 From September 12-14, visitors of all ages and backgrounds designed and tested their own spice mixes with the help of the Spice Mix Super-Computer. 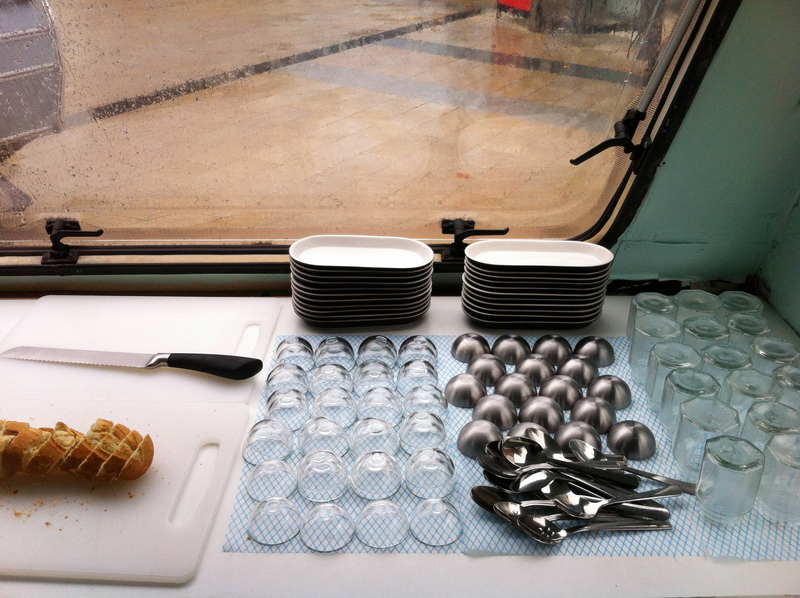 As the newest member of the Center for Genomic Gastronomy, I had the privilege of hosting the caravan and watching as visitors engaged with this new space. 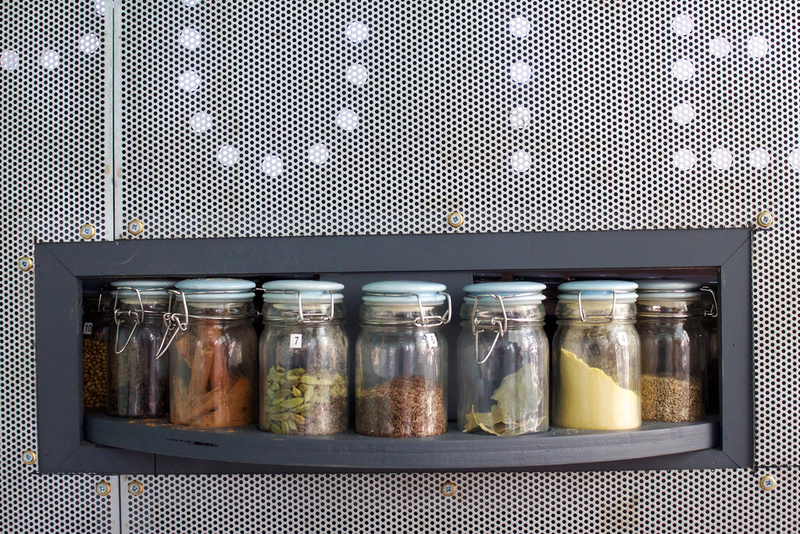 The Spice Mix Super-Computer is part of the Mobile Republic, a fleet of traveling, interactive caravans, each designed by different artists and each offering a unique experience for visitors. 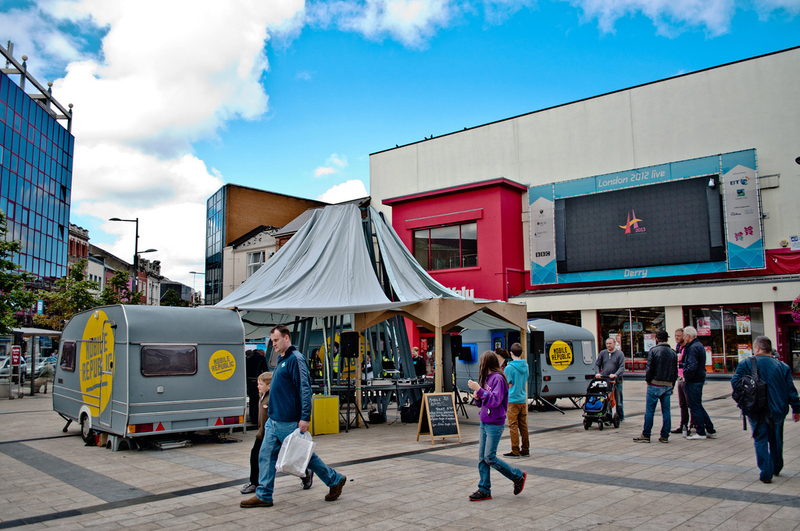 At CultureTECH Festival, the Mobile Republic was located in a central city square, particularly accessible to anyone passing through. 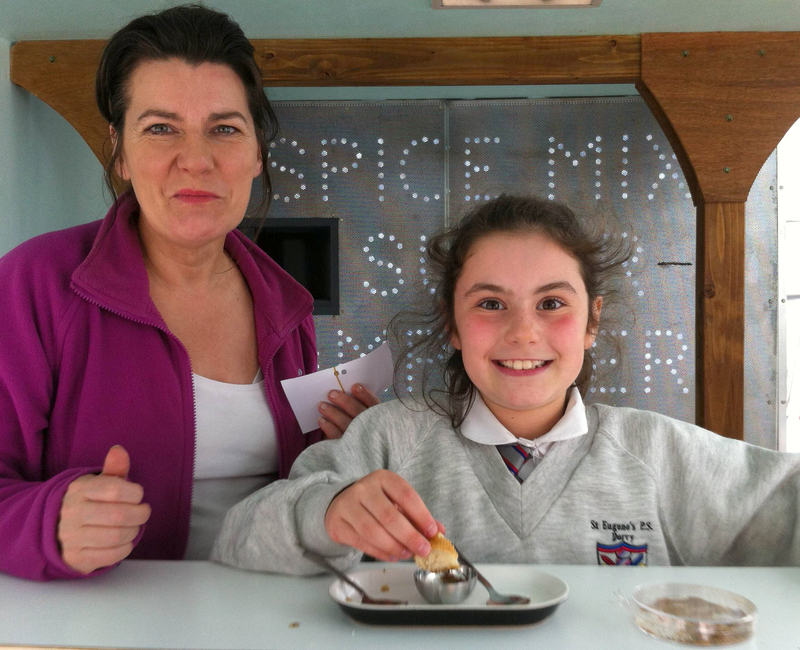 From uniformed school children, to unknowing tourists, to tech industry enthusiasts, hundreds of people prototyped new spice mixes and engaged with the Spice Mix’s process of exploration. 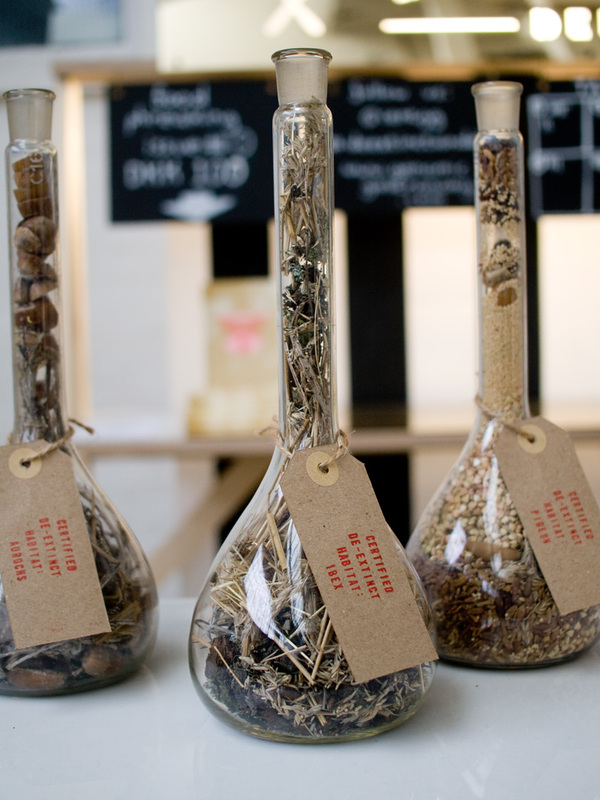 The Center is currently in Dundee, Scotland for an Artist Residency as part of the Nil By Mouth project. We will be here for the next two weeks, doing research into multiple food related topics. Yesterday we visited Tom Walsh at his plot in the Old Craigie Road Allotments. 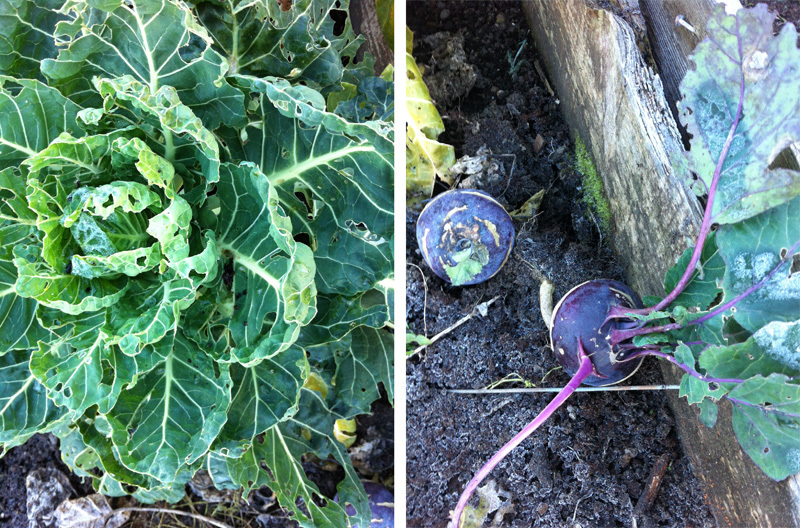 There were hints of frost visible on the soil surface, and a handful of hardy plants still in the ground: kohlrabi, brussels sprouts and giant turnips. Inside his greenhouse the wood stove kept the dahlia bulbs and us warm. 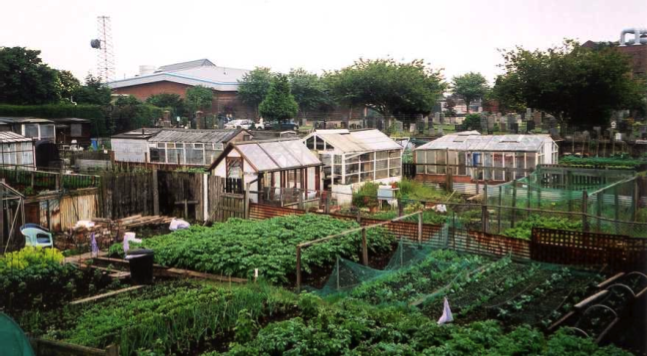 Tom told us that the allotment is one of about ten in in Dundee. It was established in 1933, and he has been there for 50 years. 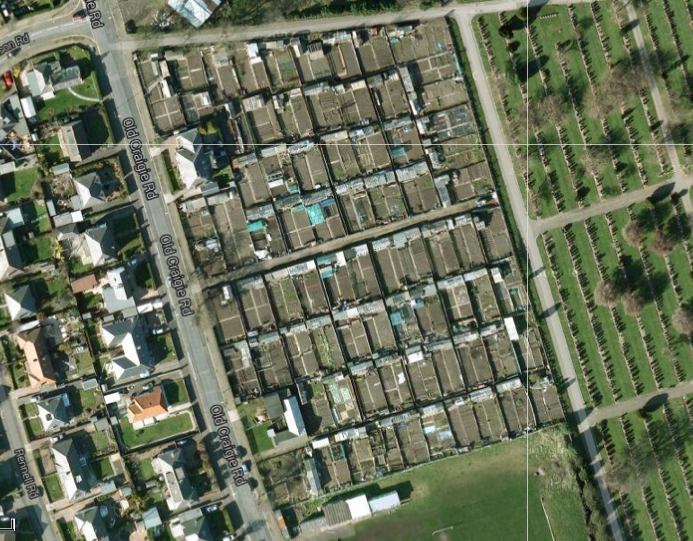 You can glean Tom’s plot through the fence in the left of this image. Visiting the allotment in winter, the green was replaced by brown soil and Tom was busy with digging – getting the beds ready for spring before the ground gets too hard. 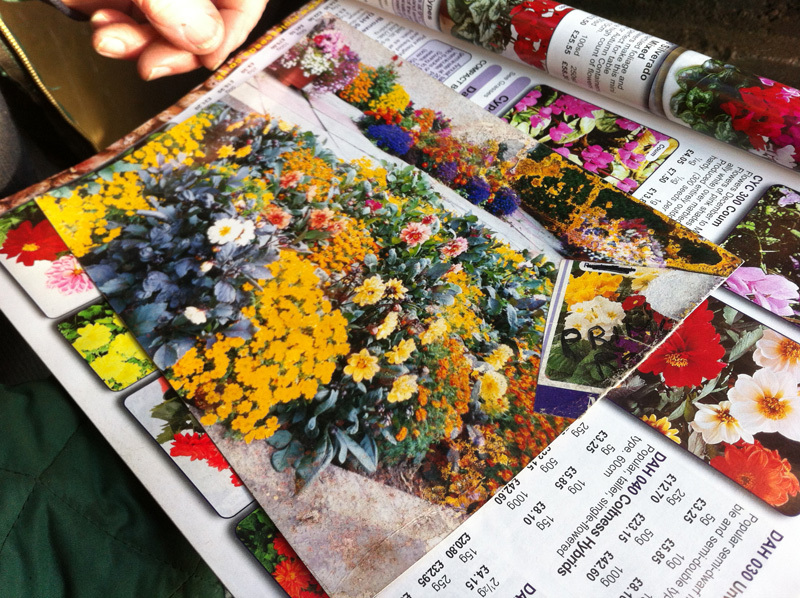 He often saves seeds, although he also orders from seed catalogues, and he showed us a picture of what his garden at home looked like one season. 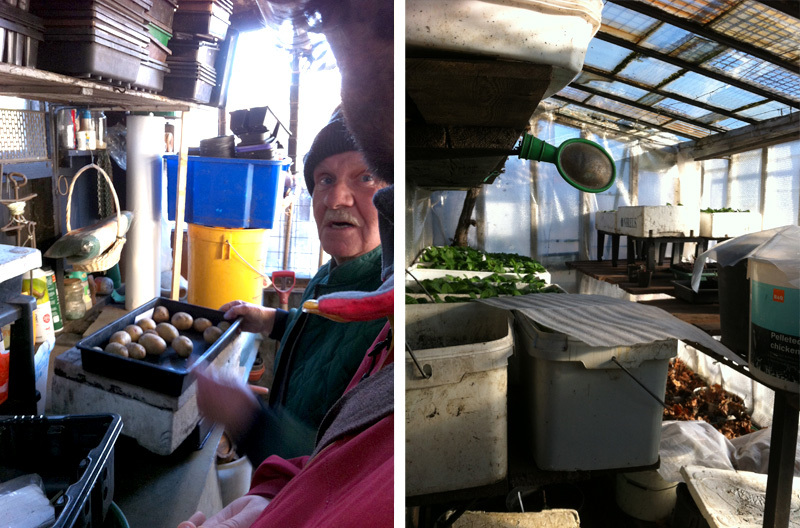 Tom also showed us a the potato varieties he grows: Blue Bell, Rooster, Osprey, Kestrel, Cultra and Celine(? Not sure about the last one, since my note taking was a little messy). It’s curious how many potato varieties are named after birds. After our visit I discovered the British Potato Varieties Database which catalogues the huge variety of potatoes in the UK. Being complete novices to the culture surrounding allotments, we were surprised and interested to hear about ‘the shows’. 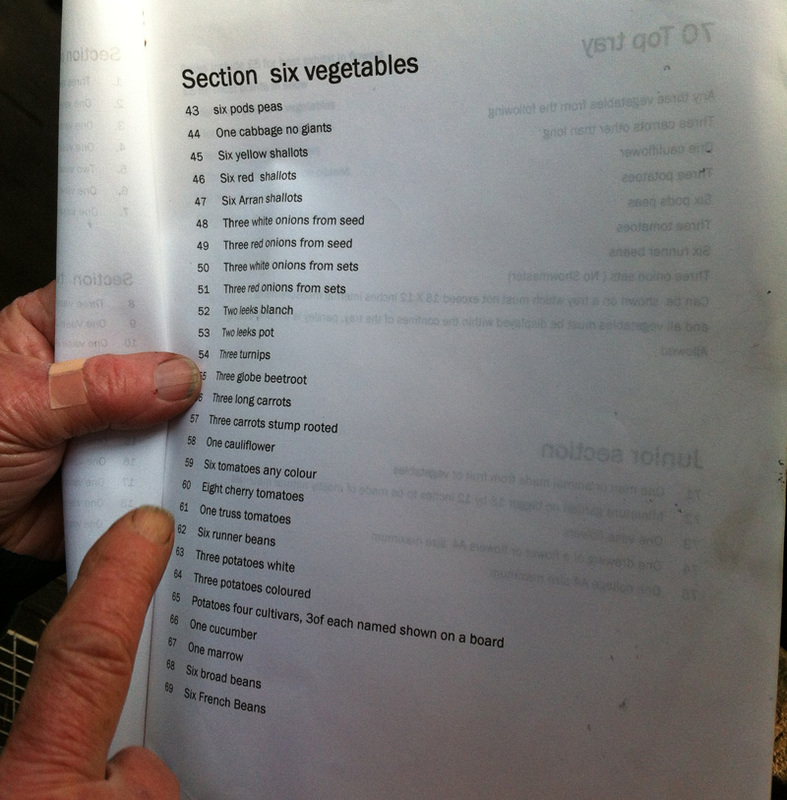 These are competitions held by the different allotments both locally and nationally, where growers compete for awards in multiple categories, from “Six Vegetables” (the image below shows the type of vegetables you can choose to present) to “Most Unusual Exhibit”. This seems like a great way to encourage biodiversity. Judges need to be certified and it seems to be taken very seriously. We hope to speak to a judge during our stay to find out more about the competitive side of gardening. We have lots more to explore over the next couple of weeks, and look forward to sharing our observations and discoveries. 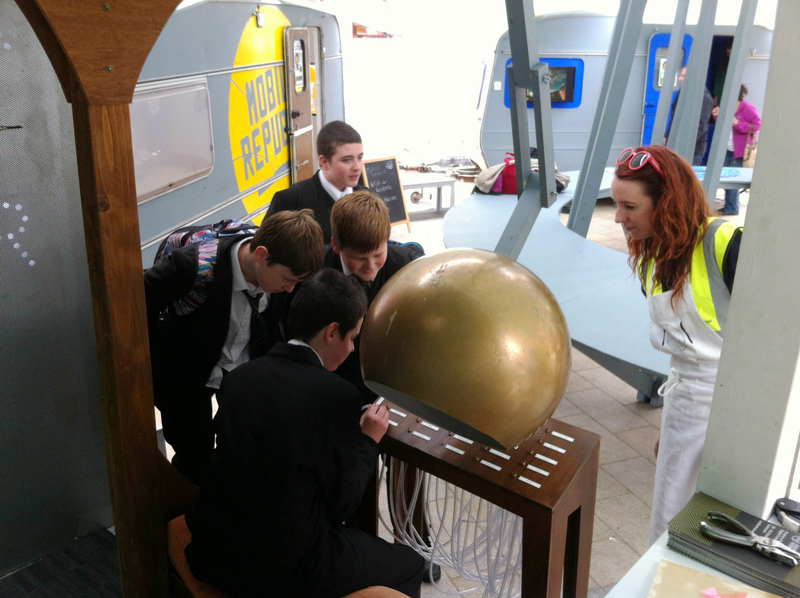 The Nil By Mouth project is organised and supported by Crichton Carbon Centre, Creative Scotland and Wide Open. 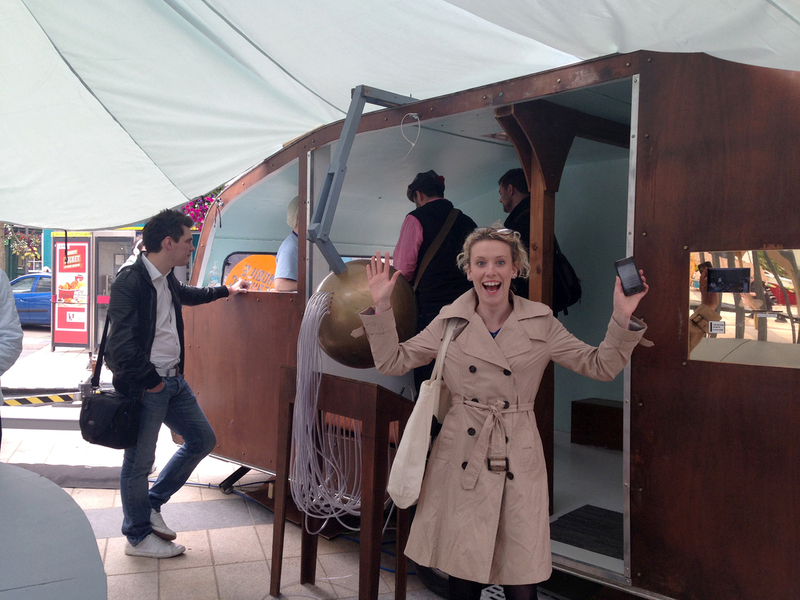 On October 5th The Center for Genomic Gastronomy had a great time participating in the Abandon Normal Devices (AND) Festival in Liverpool, England. 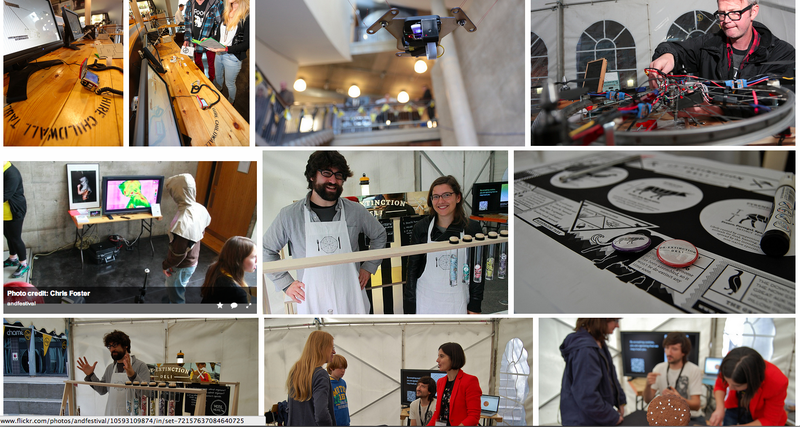 This year we took part in the AND fair. 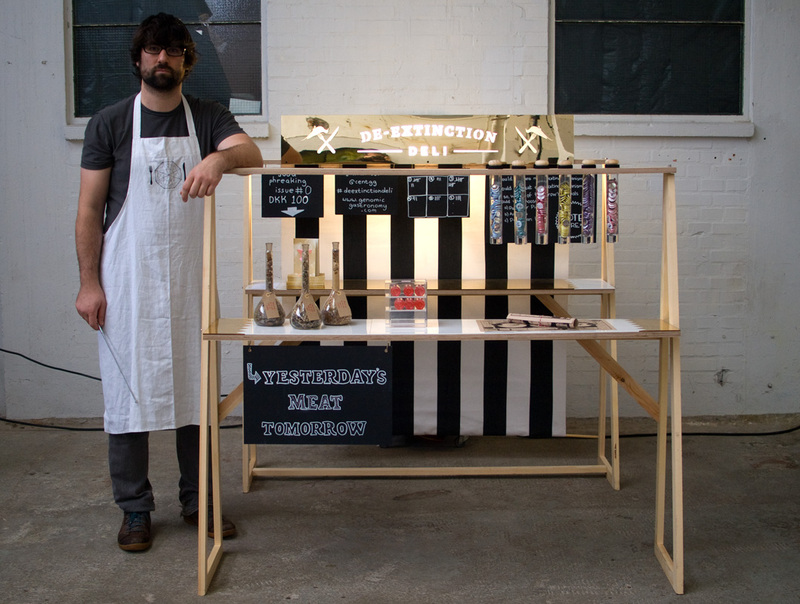 The AND fair was the perfect setting to fabricate and demo a new project called DeExtinction Deli. Visitors to the deli were able to vote on whether they thought DeExtinction was a good idea or not, and whether they would eat DeExtinct animals. We even met one participant that completely challenged our assumptions about the rhetoric of DeExtinction. This visitor to the D-Deli self-identified as a Creationist who “doesn’t believe in Evolution or Dinosaurs”, but thought that bringing animals back from extinction was doing “God’s work”. And he would definitely eat them, too. Fascinating. 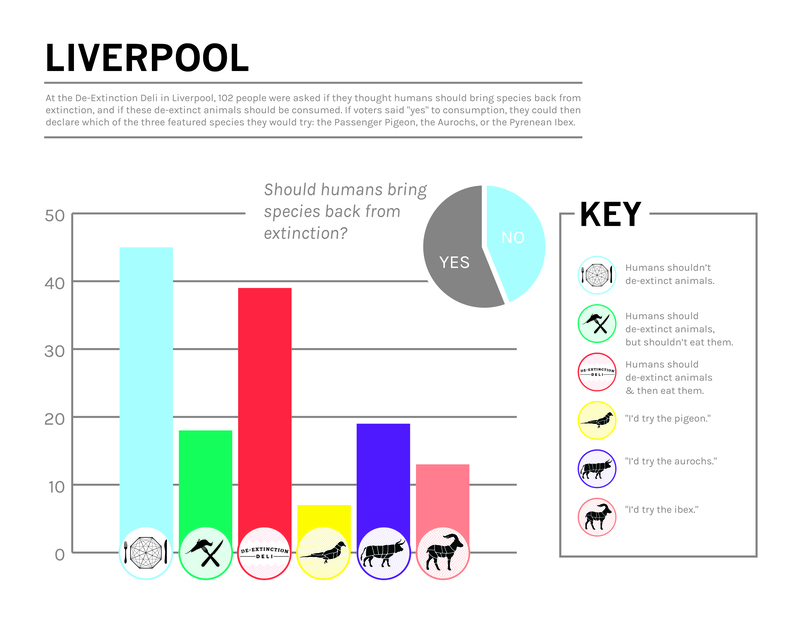 More information on the DeExtinction Deli.